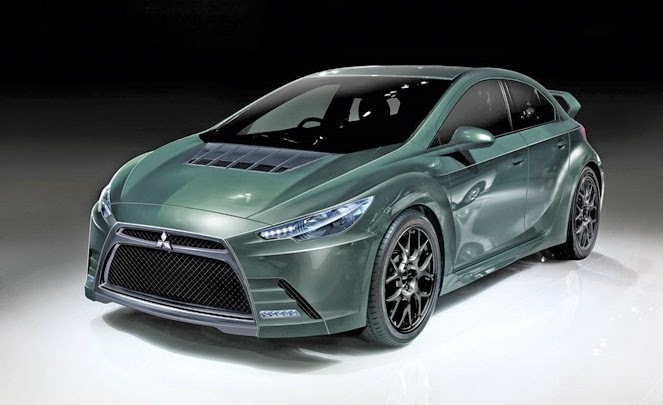 Home hybrid cars The next generation Mitsubishi EVO will be a hybrid! The next generation Mitsubishi EVO will be a hybrid! Mitsubishi EVO being a sedan is not just an everyday car. It is the car with full of adrenaline, and no doubt has won many cross-country rallies. It is one of the powerful four wheel drive saloons in the world and is known for its lighting speed and nimble reflexes. The next generation EVO series will have a hybrid technology powering it. The car will feature a diesel-electric hybrid technology and is likely to make the world debut in 2014. Mitsubishi will find it hard to keep up the reputation of EVO with a hybrid powertrain. The company has already started developing the powertrain which will basically consist of a diesel engine coupled to an electric motor. Having to keep the same zeal, we guess Mitsubishi have to fit in a powerful diesel engine with a high kilowatt motor in the EVO hybrid. The way automotive world is heading in terms of technology and innovation, the Mitsubishi EVO is the latest one.